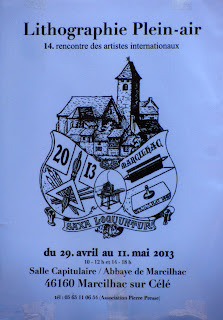 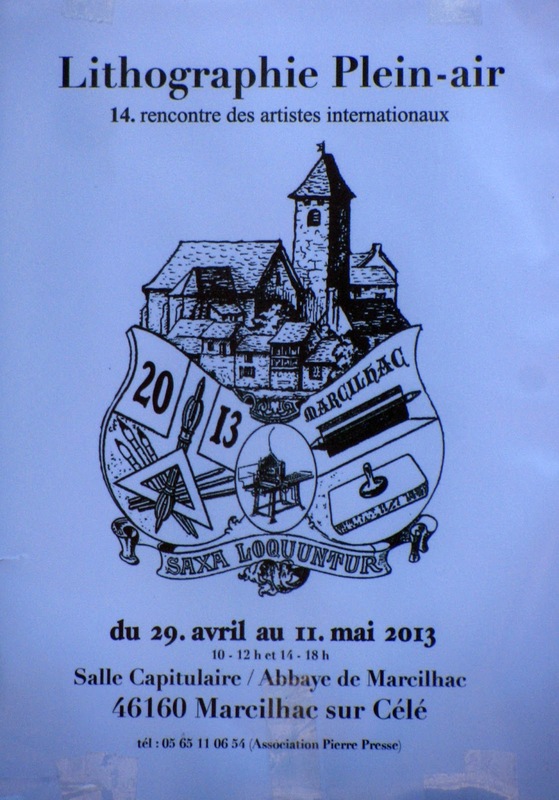 Friday evening's vernissage was held in the Salle Capitulaire of the Abbey ruins in Marcilhac-sur-Cele. 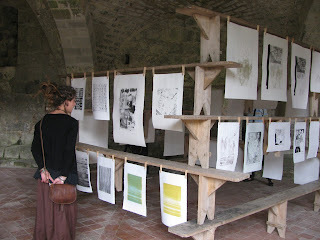 This is also where the five artists representing England, France and Germany created their beautiful prints on stone. 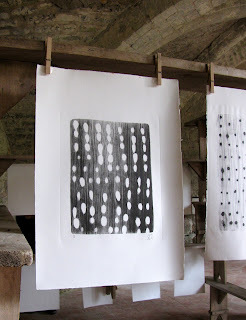 We were intrigued with the lithography process of painting designs on flat stone with water-repellent drawing tools and then treating the design with chemicals to allow ink to adhere to the stone and then transfer onto paper. The drawings and designs were lovely, and it was fun to visit with the artists and learn their stories. This lithography print course is a yearly workshop given by Peter who owns the Galerie ApART in the village. 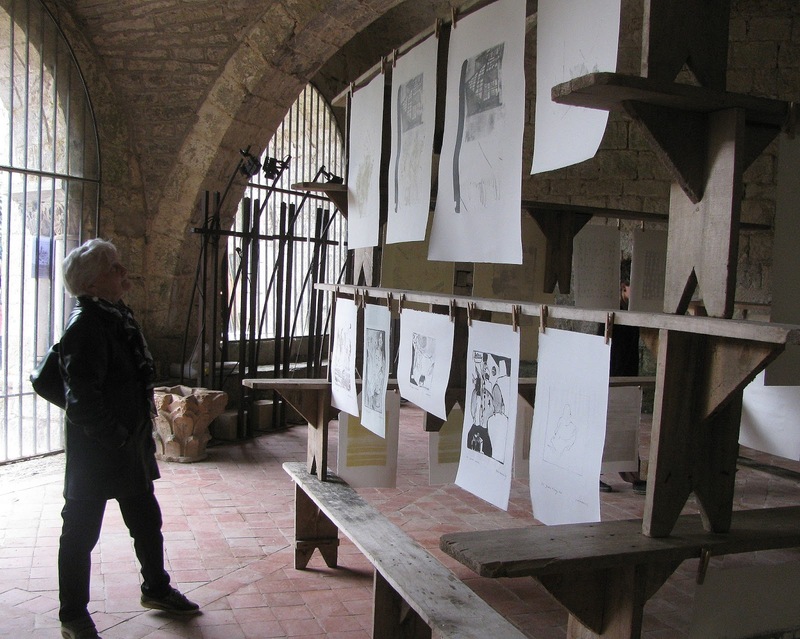 The ambiance in the vaulted room of ancient and sacred stones adds an aura of mystery to the works of art created here.